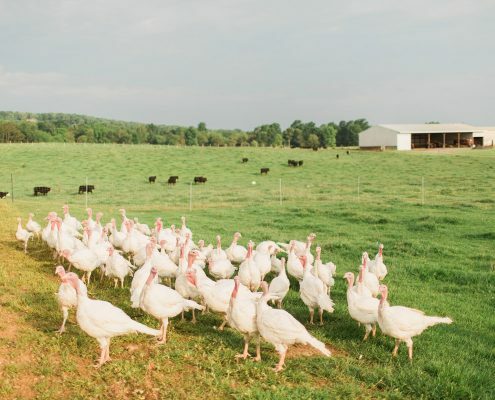 Delight In All-Natural Meat From Chickens, Turkeys, Cows And Hogs Ranging Freely On Non-GMO Pastured Land. 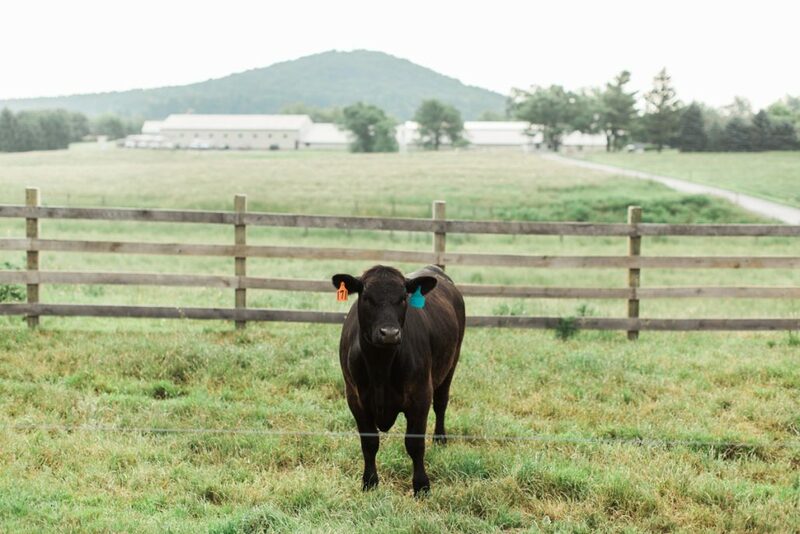 Sunrise Farms dedicates approximately 150 acres of pasture maintained for our animals to live free-range. 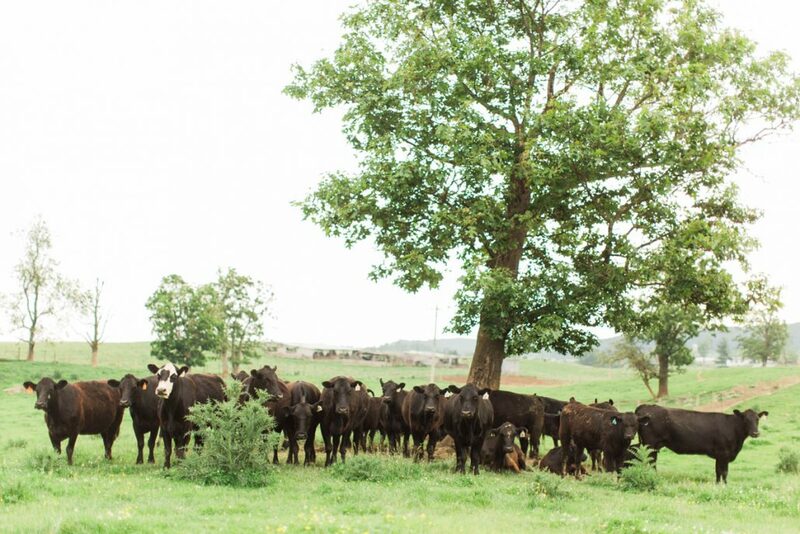 To preserve our all-natural promise to our customers, we do not treat our pastures with pesticides. 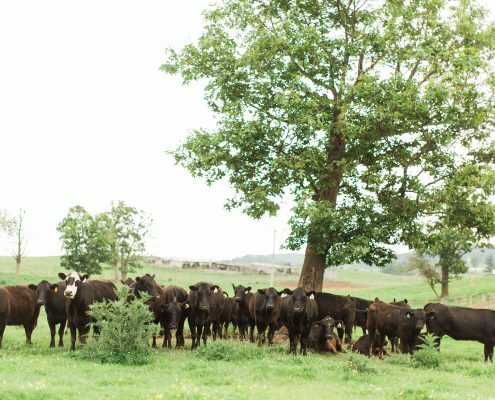 Instead, we use intensive grazing practices that allow for constant renewal of the land and healthy animals. 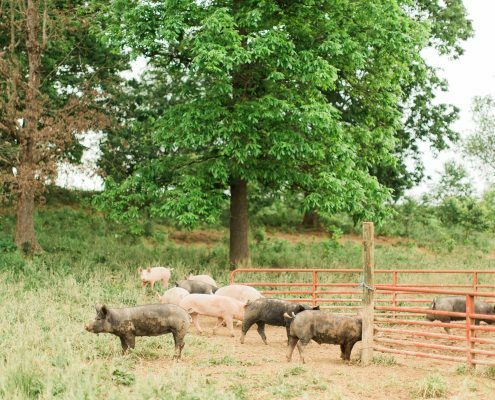 We fence off the waterway on our farm to manage for pollution and erosion, adhering to our commitment to stewardship of the land and animals. 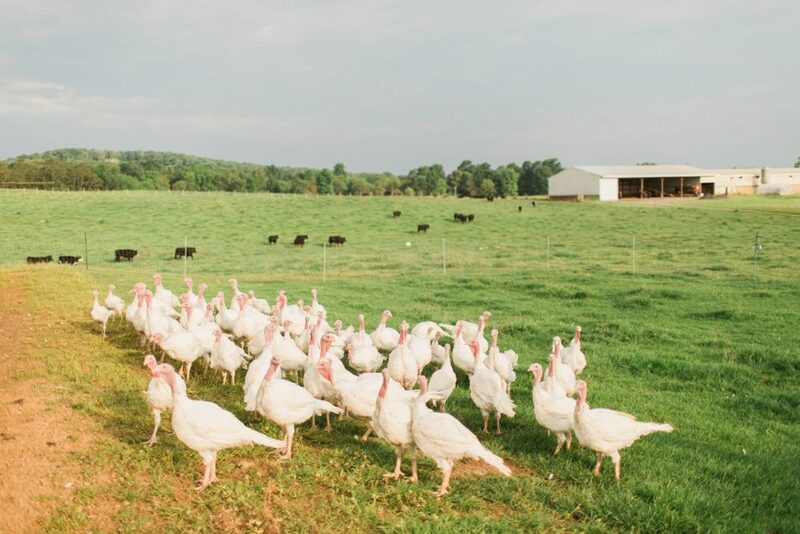 Our free-range, pastured animals are fed our all-natural non-GMO feed that is milled on-site for quality assurance. 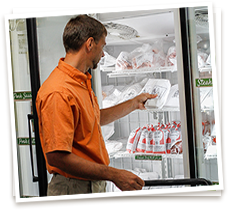 Buy all-natural meat in our storefront, purchase wholesale, or enjoy our regional meat delivery. Rest Assured Our Meat Has No Added Growth Hormones Or Antibiotics. Try Our Clean Ham, Bacon, And Sausage Preserved With Only Sugar, Salt, And Pepper. 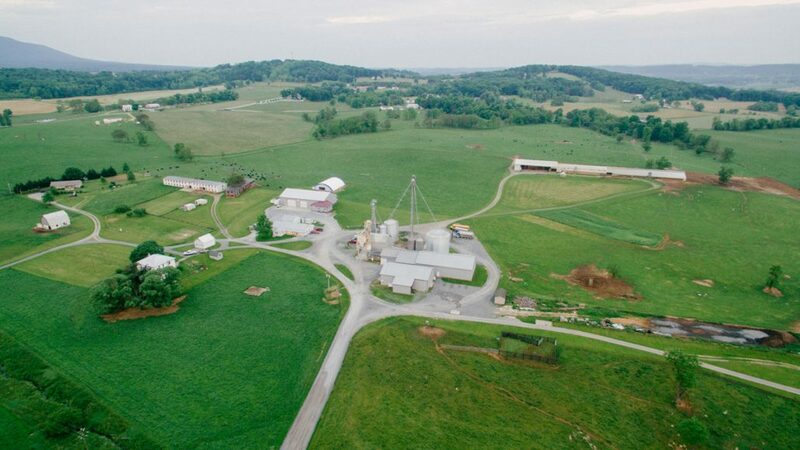 Beyond producing our own non-GMO feed and raising our own animals, we at Sunrise Farms further control for contaminants and commercially spread diseases with careful preserving processes. All the meat we preserve has only sugar, salt, and pepper added. Our hams, sausages, and bacon contain no MSG, no sodium nitrates, and no nitrites. You can taste the fresh, clean difference in our preserved meat. We Take The Time To Ethically Raise Our Animals. 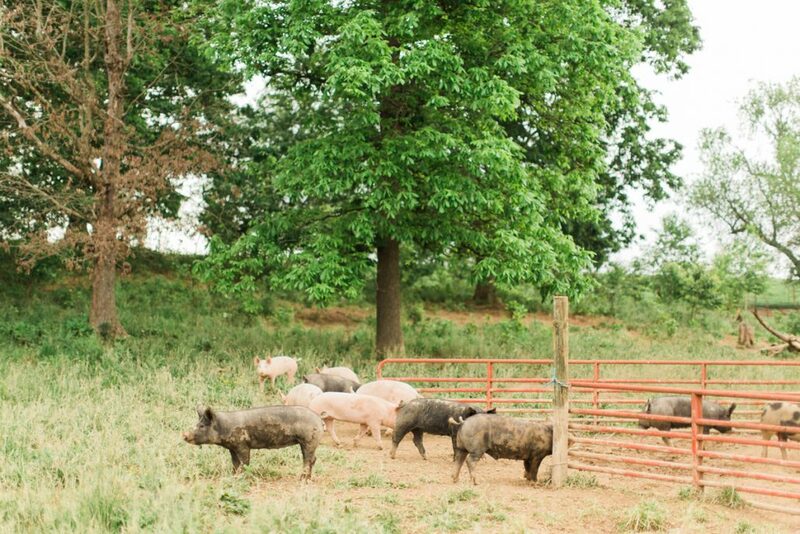 Sunrise Farms employs ethical farming practices, including feeding our animals the right amounts. We don’t overfeed or underfeed, instead allowing our animals to eat amounts that produce healthy and normal growth rates. 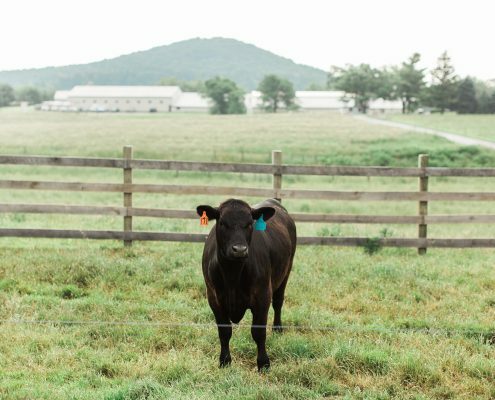 Our efforts to use the most natural and ethical farm practices keep our animals from broken bones, heart attacks, and an overall diminished quality of life. Our ethical methods may mean it takes us longer to raise our animals, but the quality is absolutely worth our time and attention. 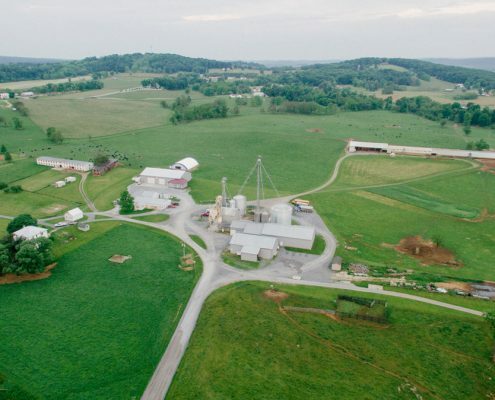 All our grain feed is non-GMO, and our all-natural meat and eggs are non-GMO, as well. 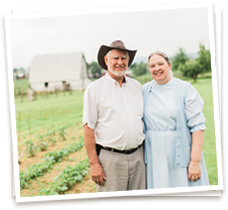 Contact Us Or Visit Us For Non-GMO All-Natural Meat Today.